The Reserve Bank of Australia has drawn a line under the historic property booms in Sydney and Melbourne, acknowledging markets have “slowed” in both cities. Price falls have been reported by private research houses in both Sydney and Melbourne in recent months, but the RBA had not officially acknowledged the accuracy of these reports. That changed on Tuesday during the RBA’s monthly interest rate announcement. After confirming there would be no change to the cash rate – which currently stands at an all-time low of 1.5 per cent – Governor Philip Lowe went on to address the question of house prices. “The housing markets in Sydney and Melbourne have slowed,” he said. “Nationwide measures of housing prices are little changed over the past six months, with prices having recorded falls in some areas. “In the eastern capital cities, a considerable additional supply of apartments is scheduled to come on stream over the next couple of years. These “supervisory measures and tighter credit standards” refer mainly to borrowing restrictions imposed by the prudential regulator APRA on interest-only loans. The measures were introduced last year in an effort to put the brakes on Australia’s, and above all Sydney’s, overheating housing market – an overheating that was largely a result of low interest rates. The RBA itself was not willing to raise interest rates to solve this problem, because it felt the rest of the economy required lower interest rates. That meant the government had to turn to other methods to keep house prices under control. 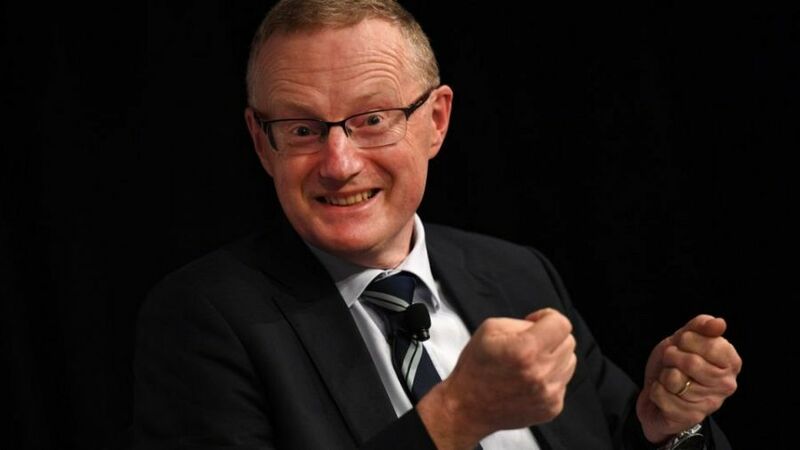 The RBA board’s decision to keep rates at 1.5 per cent meant its official interest rate has been at a record low for 19 months. The central bank said it expected the Australian economy to grow at a faster rate in 2018 than it did in 2017, though inflation is expected to rise only slightly to just above 2 per cent. On jobs, Mr Lowe said he expected the reduction in unemployment seen in recent months to continue. However, he said wage growth – which has been stubbornly slow – would continue to be sluggish “for a while yet”, but added there would be “some lift in wage growth over time”. The Australian dollar edged higher following the RBA’s announcement, and was at 77.92 US cents at 1440 AEDT, from 77.85 US cents prior to the news.